Take a Tour of the Yorktown Model Home! 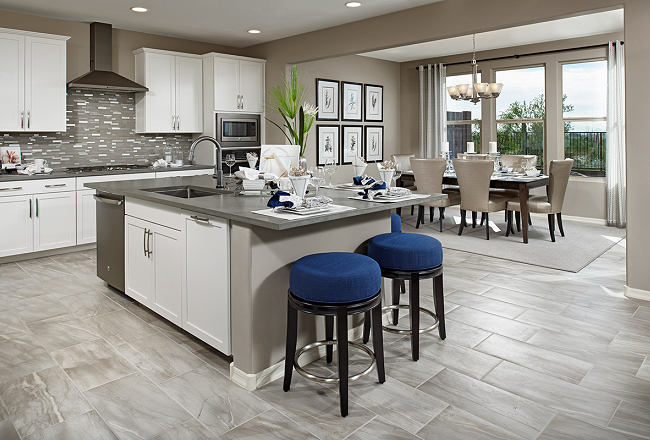 Available in Arizona, Colorado, Florida and Utah, the Yorktown plan offers a variety of exciting personalization options to fit your buyers’ needs. Take a peek at our video tour, then schedule an in-person visit at your nearest model! Our sales associates would be glad to walk you through all its best selling points. Approx. 2,900 to 3,090 sq. ft.
Options vary, but may include a gourmet kitchen, sunroom, finished basement, covered patio and more! Interested in showing the Yorktown? Create a RichmondAmerican.com agent account so you can save and share floor plans, communities, home listings and more. For more information about the Yorktown or any other Richmond American floor plan, contact a New Home Specialist at 888.500.7060. Features and availability may vary and are subject to change without notice. Square footage is approximate.